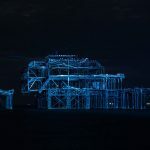 The West Pier Trust plans to auction artefacts from the derelict Victorian structure on eBay this evening (Thursday 9 August). The trust said: “We are restoring an original octagonal 1866 pier kiosk to reinstate on Brighton seafront close to its original site. 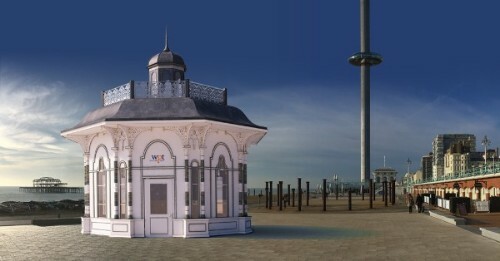 “This exquisite structure will be the oldest pier building in the world and the UK’s first seaside learning centre. 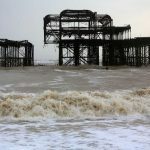 “To raise funds, we are holding a number of online auctions of pier artefacts. To take part, bidders should register with eBay if they do not already have an account. To bid for sandblasted relics, click on this link https://www.ebay.co.uk/itm/382537740104. To bid for unrestored relics, click on this link https://www.ebay.co.uk/itm/382537754105. 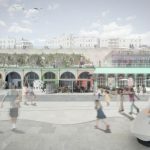 How on earth are tbdy allowed to sell off Artefacts from a Grade I listed Building.Perhaps they have given the i360 a rent reduction and are finding it hard to pay for the rent on the Arches and an outrageous Salary to Rachel Clark.Have tgey paid back the money theuy borrowed from Marks Barfield yet. Only £500 an item start price and no delivery option. Greed. When idiots use Ebay to sell!